Ondessonk Stables History- Since 1959, Camp Ondessonk has followed its mission “to provide an environment that inspires physical, mental, emotional, and spiritual growth for individuals and groups through appreciation and stewardship of nature.” The Ondessonk Stables have been a part of this mission since the very beginning. 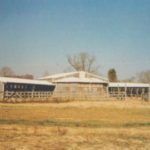 The first barn at Ondessonk was built by volunteers in a single weekend and housed a jumbled herd of horses that were donated to camp. 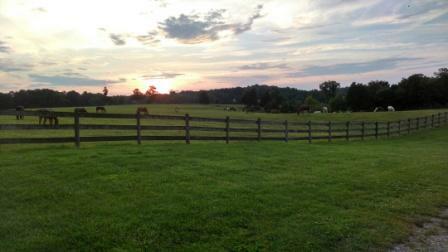 This stable, located at what we now call Brebeuf Flats, and one pasture accommodated about 30 horses. Trails like “Mushroom Rock” were popular with the kids before Lake Econ and Raganeau were built. Camp soon found that it needed to expand the stables as more kids started coming to camp and in 1964 a second stable, with more pasture space, was built near what is now the parking lot. This expanded the herd to about 45 horses between “Stable A” and “Stable B”. Stable B was later moved from Brebeuf Flats to above Stable A before the current barn was planned. 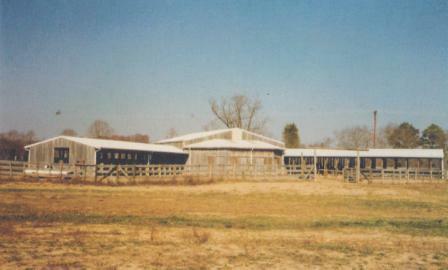 Our current barn was built, like the previous barns, by volunteers between 1983 and 1985. It was built with a large area to store tack and enough stalls to accommodate the large herd. The Equestrian Director position became year round in the late 1980’s to meet the needs of the herd and the increasing year round equestrian programming. Over time the pasture system developed into the eight pasture over 100 acres that we now rotate our herd of 70 horses through. For more information on the history of Camp Ondessonk Click Here.